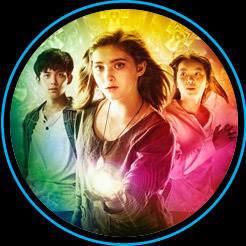 A 3D fantasy adventure film starring Willow Shields, Maria Grazia Cucinotta, Lei Wu, Christy Chung, Joe Chen, the film is a co-production between China, U.K and New Zealand. It is set for release in 2017. Two troubled teenage girls, Rachel and Grace, discover an incredible natural phenomena and find themselves transported to China. Chased down by an obsessed scientist and her mysterious international organization, they must find a way to restore nature before catastrophic storms destroy the entire Pacific and threaten the world.